Police in Baltimore County have charged a man in connection with the January death of his son in Essex. 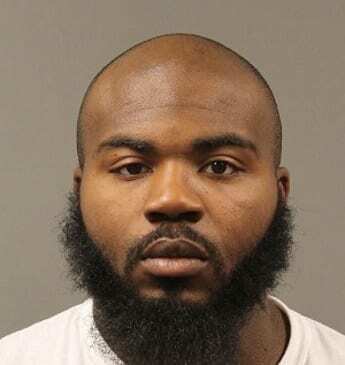 Delonte Deshawn Mack, 27, of Baltimore City, has been charged in connection with the death of three-year-old Cameron Blake. Authorities began an investigation into the possible child abuse after being notified by staff from Johns Hopkins Children’s Center that the child’s injuries were not consistent with a fall, as initially reported by his caregiver, but were due to some other type of force. Emergency personnel first responded to the home of Cameron’s caregiver on Glenwood Road in Essex on January 19, 2017 when she reported finding Cameron unresponsive after slipping and hitting his head on the floor. He was initially taken to Medstar Franklin Square Medical Center and later transferred to Johns Hopkin’s Childrens Center due to the severity of his injuries. He died on January 24 as a result of those injuries. A subsequent autopsy revealed that child’s death was a homicide by multiple injuries. As the investigation into Cameron’s death continued, detectives determined that his father was actually responsible for causing the injuries that ultimately killed the child. Delonte Mack is now charged with first-degree child abuse resulting in death, first-degree child abuse resulting in severe physical injury, second-degree child abuse by a custodian, and second-degree assault. He is being held at the Baltimore County Detention Center on denied bail status.